(Chico, Calif.) Klean Kanteen, an industry leader in providing sustainable solutions for single-use plastic, is pleased to announce the addition of James Forte as its new Direct-to-Consumer (DTC) and Co-Brand Channel Manager. Forte has over 25 years of experience in sales, kkStack_RGBmarketing and management. Forte has worked as the general sales manager at Santa Barbara Outfitters, as the director of marketing & sales at Nuvair and as an internationally published photographer. At Klean Kanteen, he will be responsible for the development and execution of DTC sales strategy and plan, building customer relationships, driving sales and building the brand nationwide. He will also manage Klean Kanteen’s highly successful co-branding program, aligning with companies and organizations that share the brand’s commitment to sustainability. James Forte“I’m thrilled to be working for a company and with a team that’s so dedicated to igniting change and making a difference in the world,” said Forte. A Chico, California native, Forte is excited to be back in his hometown. Outside of the office, Forte spends his time with a camera in hand SCUBA diving, fly-fishing and camping around the country while chasing his two young children and wife. In 2004, Klean Kanteen released the first stainless steel water bottle onto the market because we wanted to give people something better than plastic: a lightweight, re-usable, body-friendly bottle free of bisphenol A (BPA). Klean Kanteen has grown from a tiny, upstart company to a leader in the stainless beverage bottle industry. In addition to including environmental and fair labor consciousness in our business practices, we partner with local, national, and international organizations to support efforts toward health, clean drinking water, and protecting the environment. In 2008, Klean Kanteen became a member of 1% for the Planet, committing to donation of at least 1% of our annual sales to non-profits working to protect and promote the wellness of this one great Earth. Every time you refill your Klean Kanteen, you’re making a positive choice for your own health and for the health of our planet. 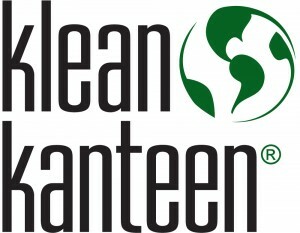 For more information, please visit www.kleankanteen.com.